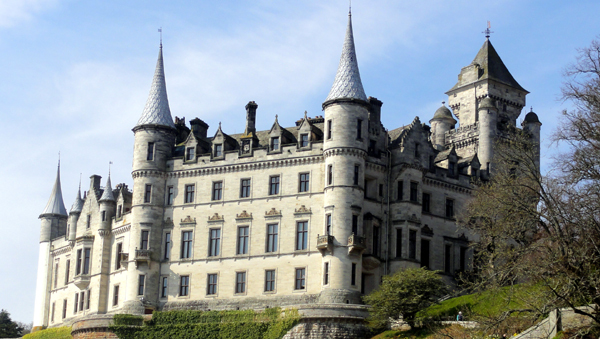 A very popular attraction is the “Fairytale” Dunrobin Castle. It’s a trip that can be made “on your own”, but to do so it may mean that you will have to be prepared to disembark from your liner, early. The only realistic way to get there other than an organised excursion, or by taxi, is by rail. Unfortunately this may mean catching the early train from Invergordon train station and this currently departs at 07.58. (In order to catch this train, you should disembark by 7:30 at the latest.) It is quite a long journey, as you don’t get to Dunrobin station until 09.20. The Castle is about a 10 minute walk from its very own station. There is a later train from Invergordon (11:30) but it may be restrictive in the time you will have available to visit the Caste that it is not really worth the time, effort or cost. Unless of course, you just want to take the scenic train ride and visit the castle to take photographs. 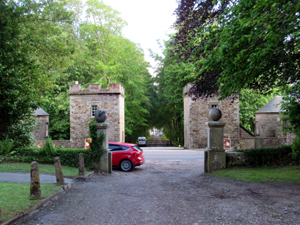 Dunrobin is approximately 30 miles north of Invergordon. Details of all train times & prices can be found here. Please note that the trains to Dunrobin do NOT run on a Sunday. 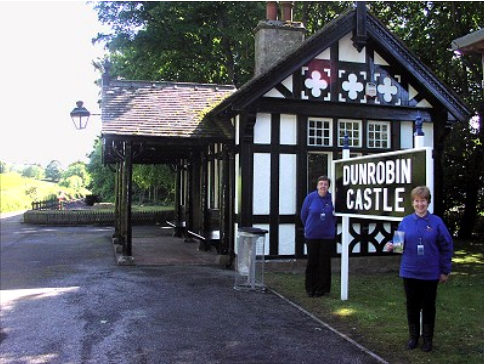 As Invergordon is an unmanned railway station, and Dunrobin is a ‘request stop’ on the Far North Line, all you have to do is buy a ticket from the conductor, on the train This can be done with cash or card, and will alert the train staff to your destination. If you have pre-booked your ticket (which can be done more cheaply than the cost of a day ticket, on the day), just advise the conductor of your destination. The Arts and Crafts style waiting room at Dunrobin station was constructed in 1902, and is a category B listed building. Tickets for entry to the Castle can be purchased on arrival at the Castle Main Entrance. 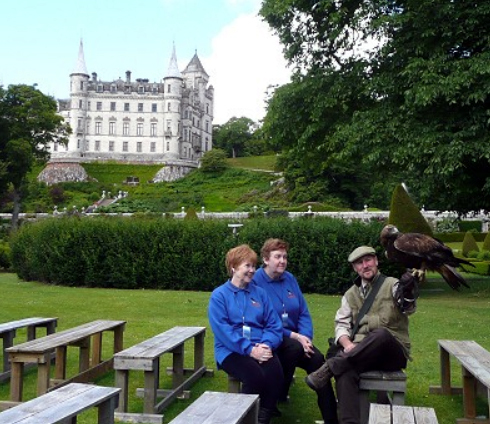 The price includes entry to the Castle, Gardens, Museum and the Falconry display. 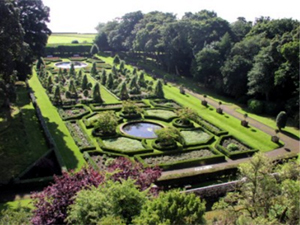 Spend as much time as you like strolling through the beautiful garden area. 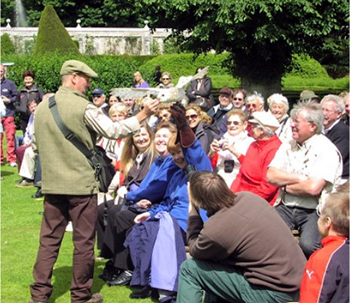 Details of Falconry display timings can also be found on the Castle’s website. The Falconer takes charge of his display of the birds of prey and at the same time relates a funny and interesting narrative about the birds and their hunting habits. The museum was at one time the Ladies Summer House - these days it is home to a variety of stuffed animals gathered from the Duke’s various hunting trips to Africa. There is a small Tearoom in what was once the Castle Fire Engine room, light lunches are available. Passengers joining the train for the return journey from Dunrobin should give a clear hand signal to the train driver as the train enters the station. 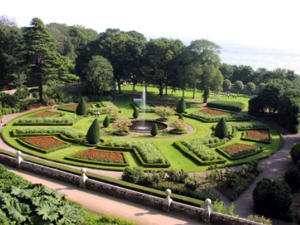 The train journey to and from Dunrobin takes you through some of the nicest scenery in the Highlands. If you need any more information about visiting Dunrobin on your own, please ask any of the Oystercatcher Hosts at our Information Point.